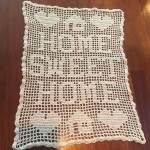 I finally completed this filet crochet project that I found online by Lee Ives Tice. 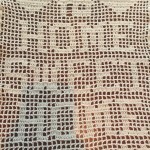 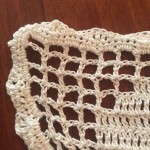 Filet crochet is a very easy and satisfying way to crochet – I have also made tops and table runners using this technique. 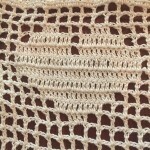 I used a 1.75mm steel crochet hook and 1 ball of Puppets Eldorado mercerised crochet cotton in an off white / cream colour. 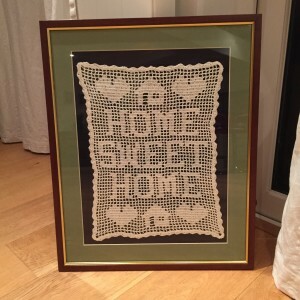 I changed the final border of the pattern to make it a bit quicker and easier to crochet and then I had to block (although it is still a bit wonky!) 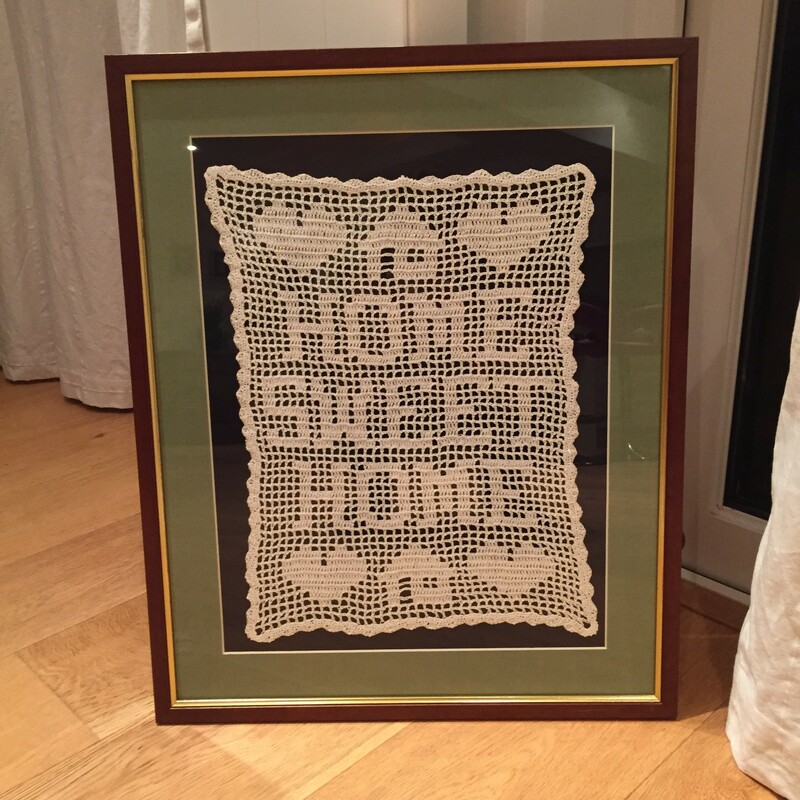 it and frame it – I picked up the frame (with the mount) from my local charity shop!